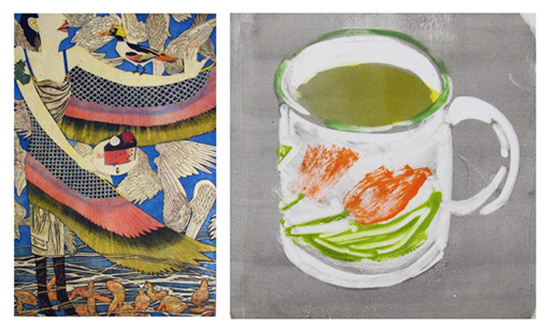 New Prints/New Narratives selected by Andrew Raftery opens tonight at International Print Center New York. 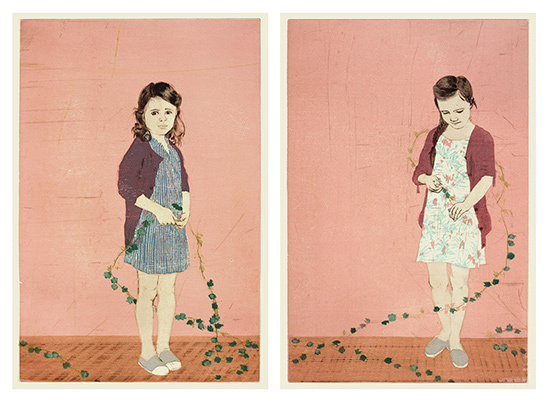 The center is showing 50 printmedia projects, including my diptych, Girl and Garland I and II. I cherish the mission of this organization, and am pleased to finally be a part of one of its shows. Here are two more prints from this show that I particularly love: On the left is Yuji Hiratsuka’s Wings, which is the richest color intaglio I’ve seen in a long time. 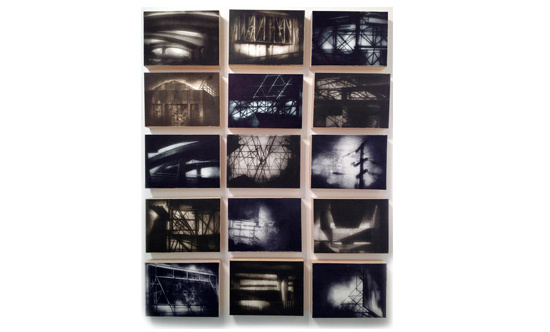 On the right, a still from Lynn Peterfreund’s Storm in a Teacup, a short film made up of 124 unique monotypes. Also on view is this collection of ten photopolymer/monotypes, The Road Traveled by friend and fellow Kala artist in residence, Jenny Robinson. Printing next to Jenny is always a treat, and I’m looking forward to learning a lot from her at an upcoming residency in Nevada City at the end of the month! It looks like the curatorial essay has yet to go up on the IPCNY website, but here is a small blurb from Raftery: This exhibition explores visual narrative and the powerful presence it has had in printmaking since its origins. The prints shown here reinvent this tradition for contemporary viewers, and were selected through careful observation of specific details and then arranged into narrative categories such as direct address, layered narrative, aftermath, layered time, and implied communication. This entry was posted in Art Friends, Events, Openings and tagged IPCNY on June 13, 2013 by ellenheck.